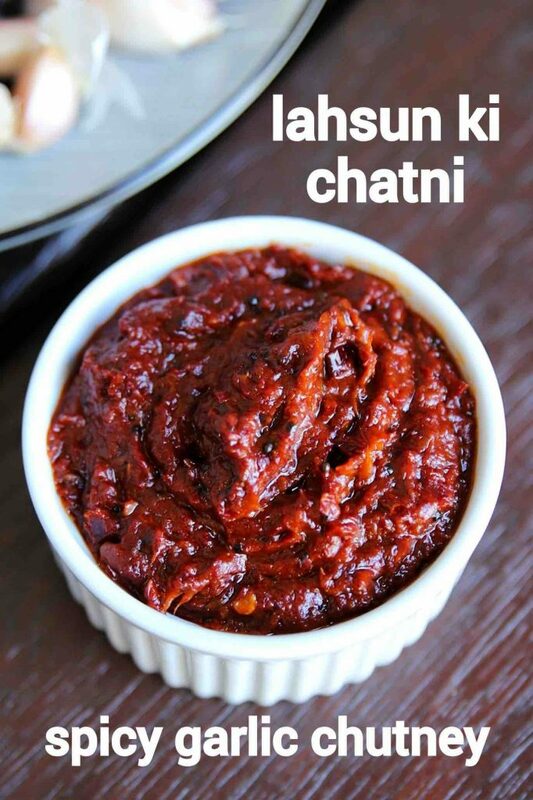 lahsun ki chatni recipe | lehsun chutney | lehsun ki chutney with detailed photo and video recipe. 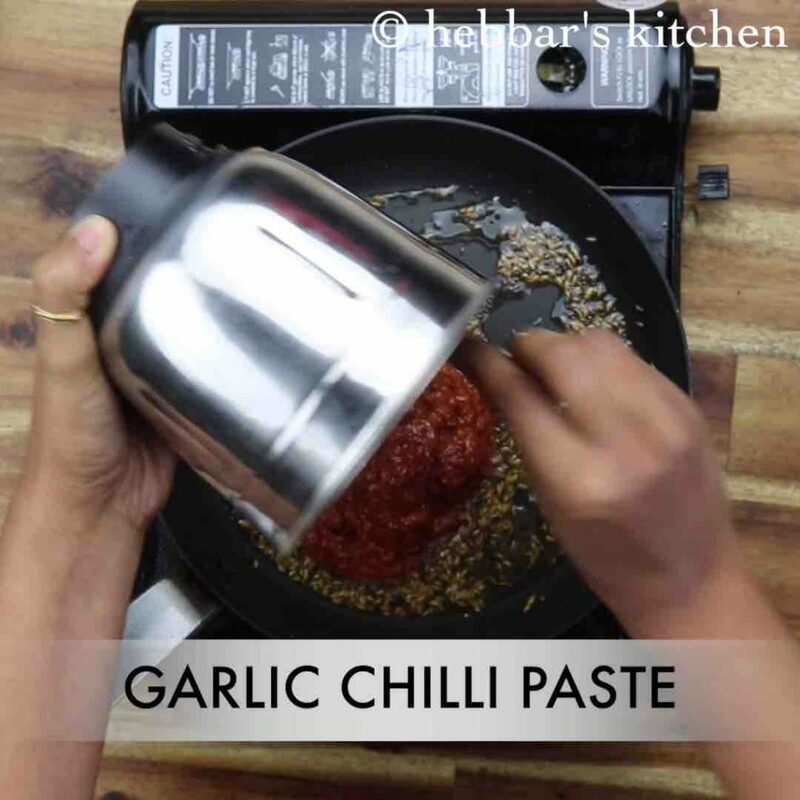 spicy and flavoured condiment recipe made with fresh garlic pods, red chillies. it is an essential chatni recipe from the rajasthani cuisine and served with almost every dish like roti and rice. it is very simple and easy to make and more importantly has a long shelf life compared to the other traditional south indian chutney. 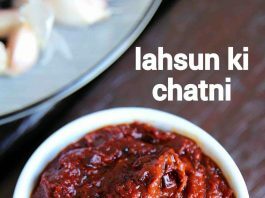 lahsun ki chatni recipe | lehsun chutney | lehsun ki chutney with step by step photo and video recipe. chatni recipes are essential in most part of the indian states. 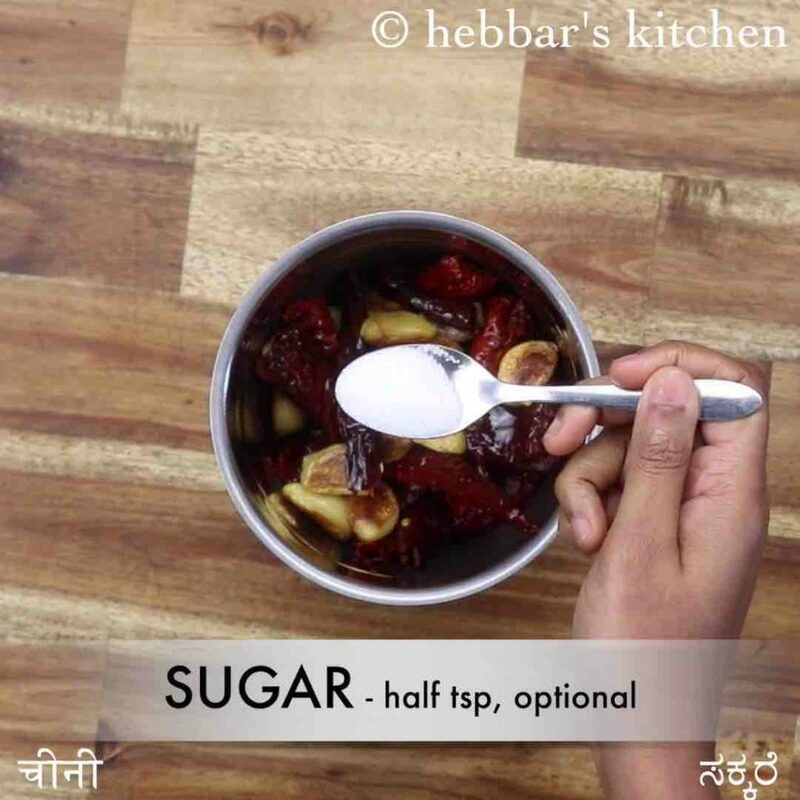 it is widely used for different purpose, establishing itself as a side dish to breakfast, snacks or as a base to modern curries. one such multipurpose chutney recipe is lehsun ki chatni from north-west india, used for myriad purposes. i am a big fan of long shelf life chatni recipes and i ensure to have a minimum of one chatni in my fridge. basically, these chutney helps when you do not wish to make dedicated chatni for a particular dish. similarly, lahusn ki chutney is multipurpose long life condiments which can be shared and served with almost anything and everything. 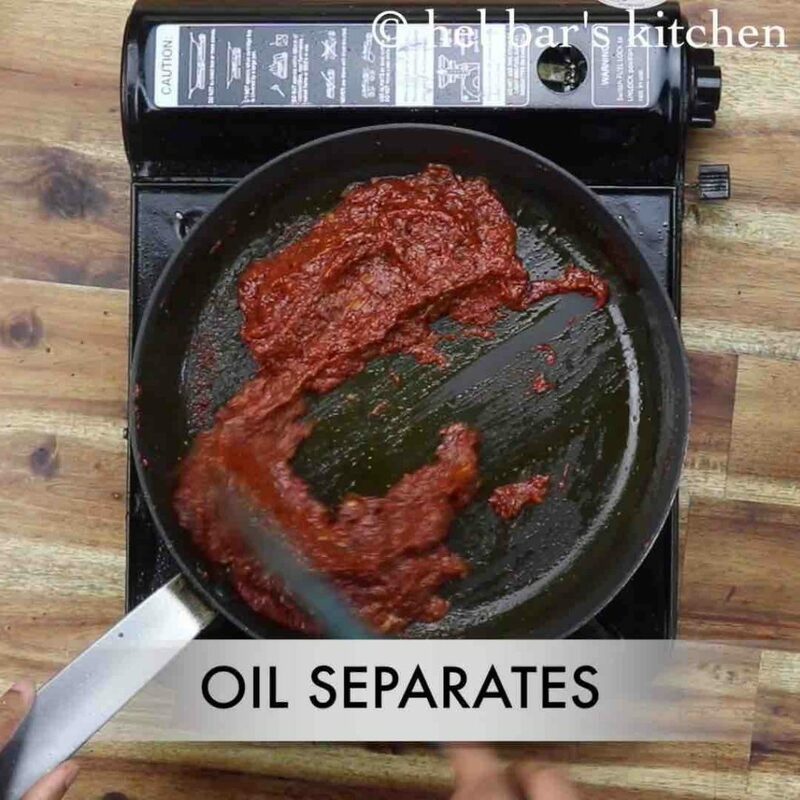 as a matter of fact, i use this in my pav bhaji, my punjabi curries, sandwich spread, to dosa and idli, roti/chapati and even to upma and pongal. i personally like it as my base to curry as it adds a flavour of garlic and chillies to my curries. having said that you may have to control the spice level added on top of these chutney. 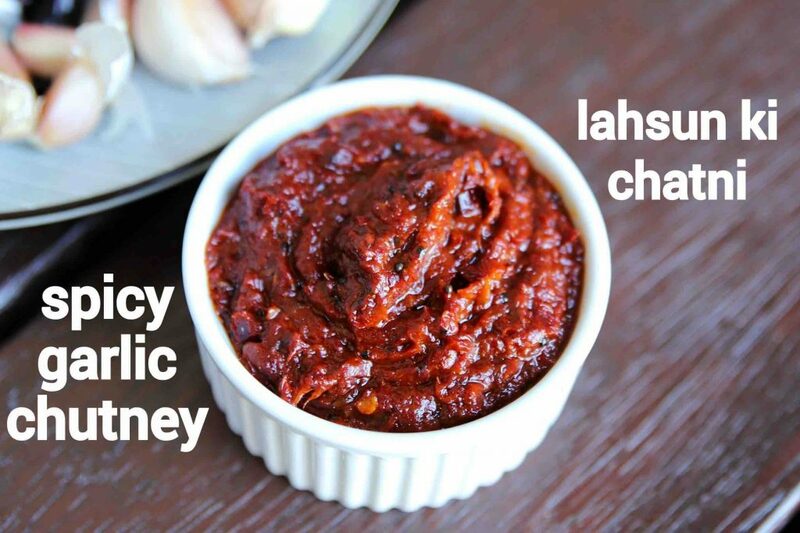 furthermore, some easy and important tips, suggestions and variations to the popular lahsun ki chatni recipe or lehsun chutney. firstly, i heavily recommend using fresh garlic pods for this recipe. it has to be juicy and full of flavour and avoid any dry and stale garlic for this recipe. 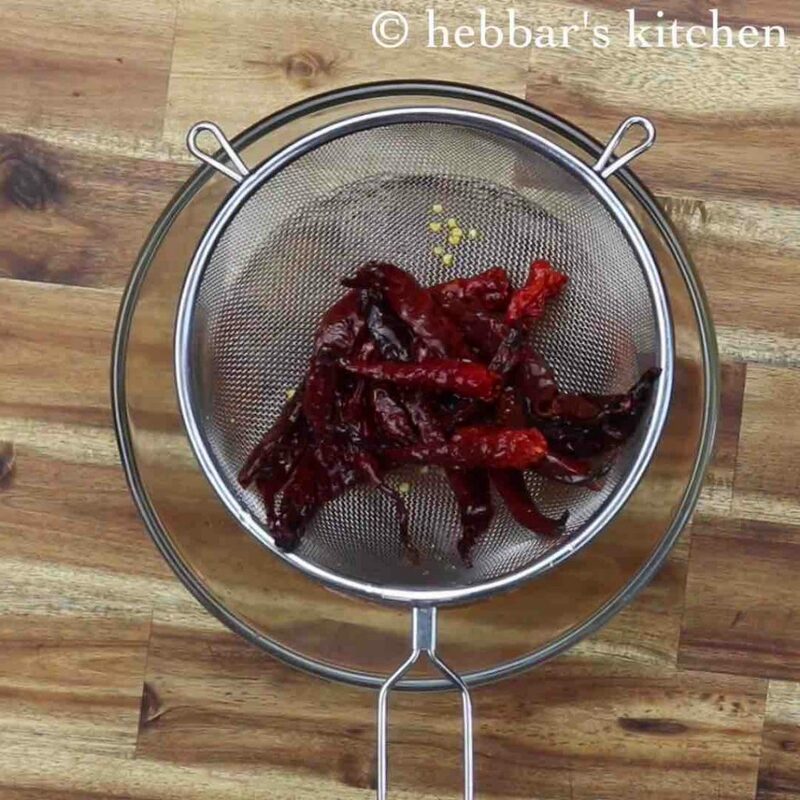 secondly, adjust the spice level of the chatni by increasing or decreasing the red chillies. in this recipe i have maintained medium spice level which should be appreciated by most of them. lastly, store the chatni in an airtight container in a refrigerator. you can also store it in a dry place, particularly near gas stove. 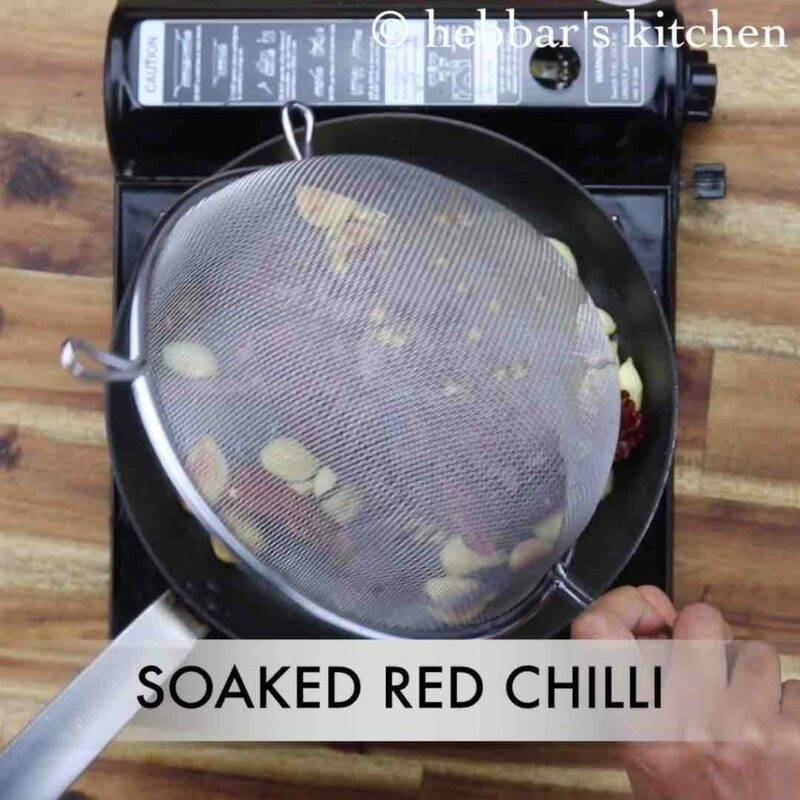 firstly, soak 15 dried chilli in hot water for 20 minutes. 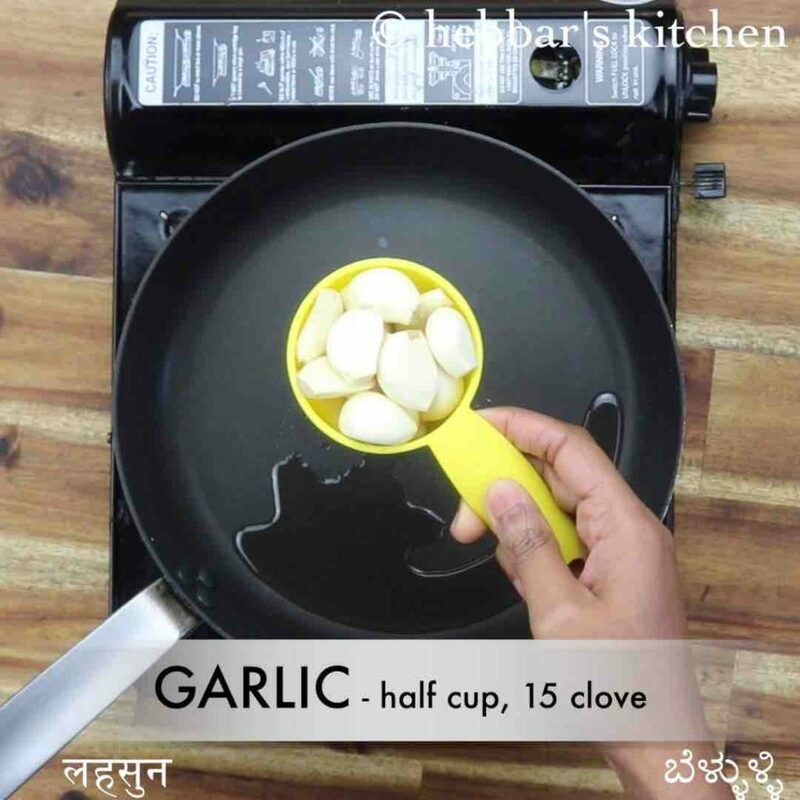 in a tawa heat 2 tbsp oil and add 15 clove garlic and 1 inch ginger. roast on low flame until it turns golden brown. add in soaked red chilli and saute for 2 minutes. further, add ½ tsp sugar and ½ tsp salt. 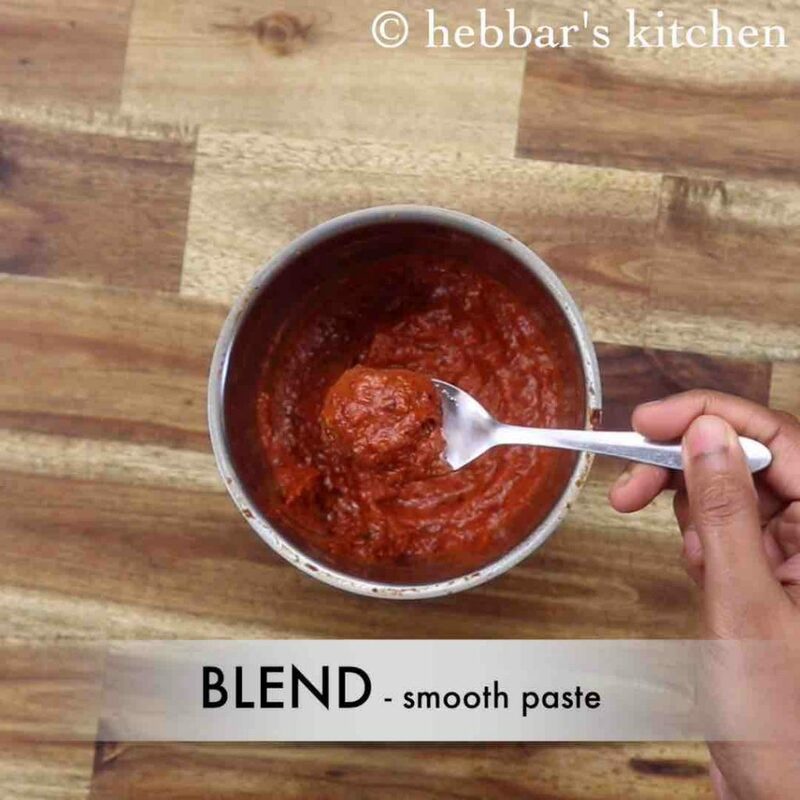 blend to smooth paste without adding water. keep aside. 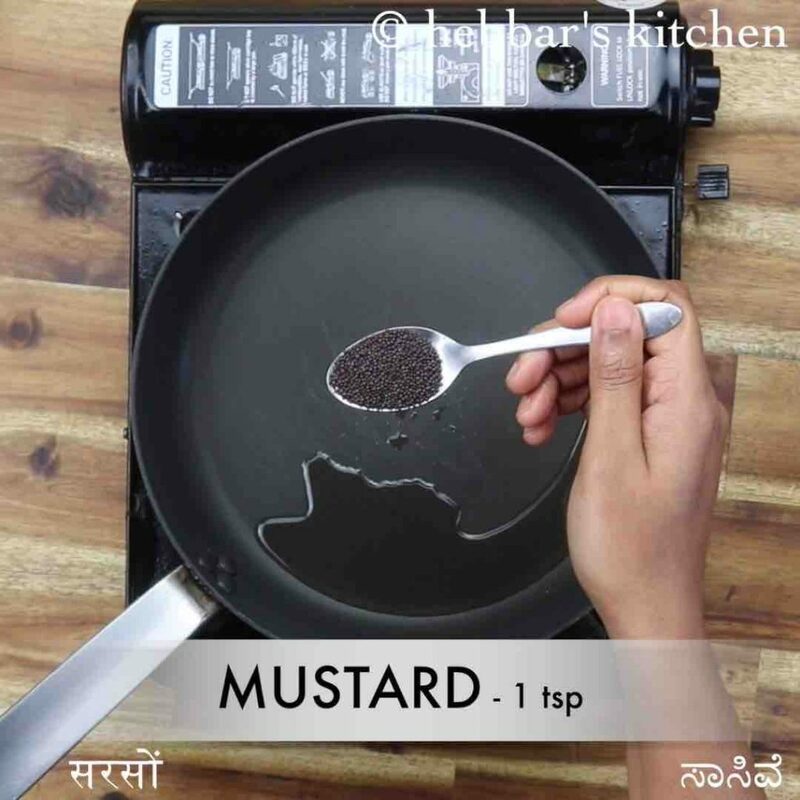 in a pan heat 2 tbsp oil and splutter 1 tsp mustard, ½ tsp cumin and pinch hing. add in prepared garlic chilli paste and saute until oil separates from the pan. finally, cool completely and enjoy lahsun ki chatni with roti. 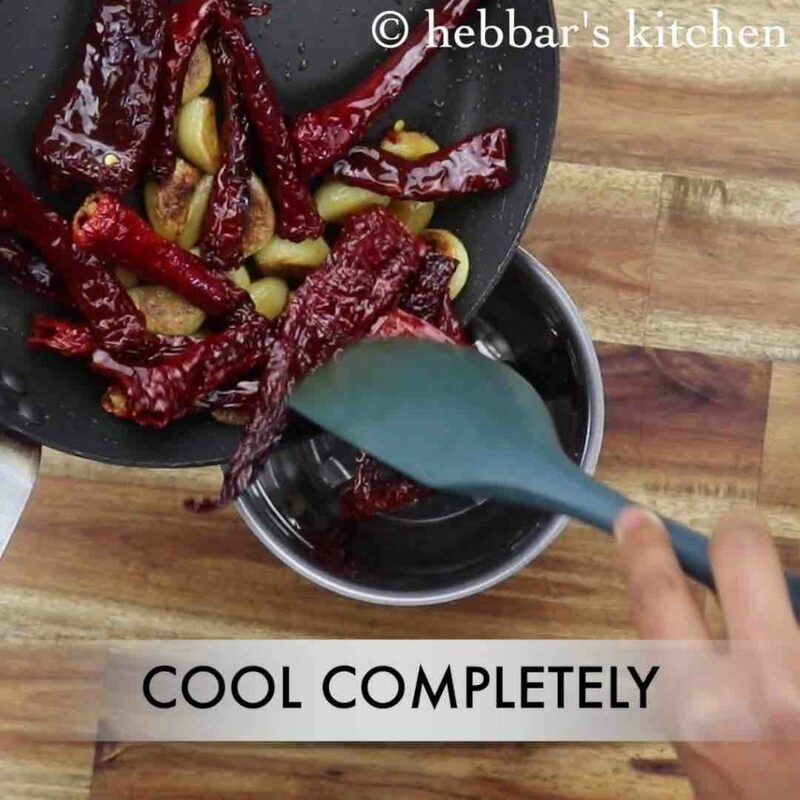 cool completely, and transfer to the blender. add in prepared garlic chilli paste and saute well. saute until oil separates from the pan. 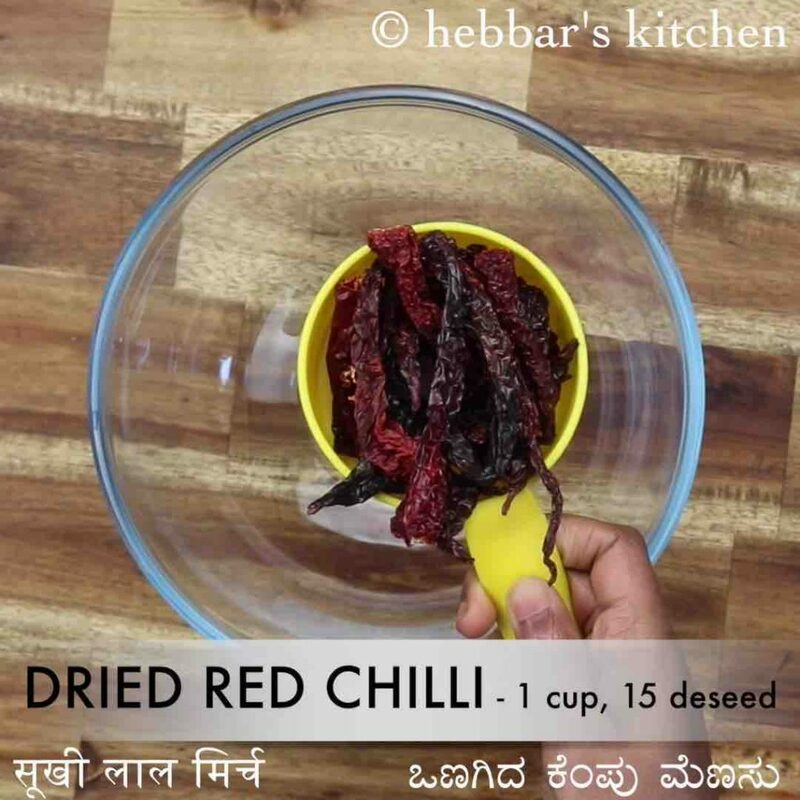 firstly, deseed the chilli to prevent from turning very spicy. also, use kashmiri chilli, as they are bright in colour and less spicy. 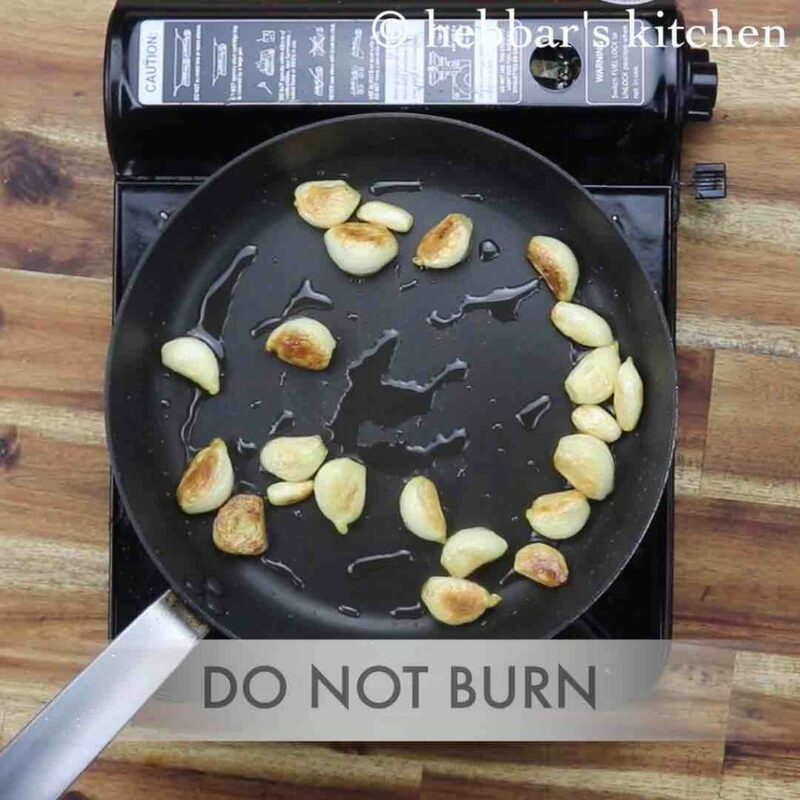 additionally, roasting garlic helps to store chutney for up to 2 weeks in the refrigerator. furthermore, add tamarind or lemon juice while blending to get a balanced flavour. finally, lahsun ki chatni recipe tastes great when prepared spicy.